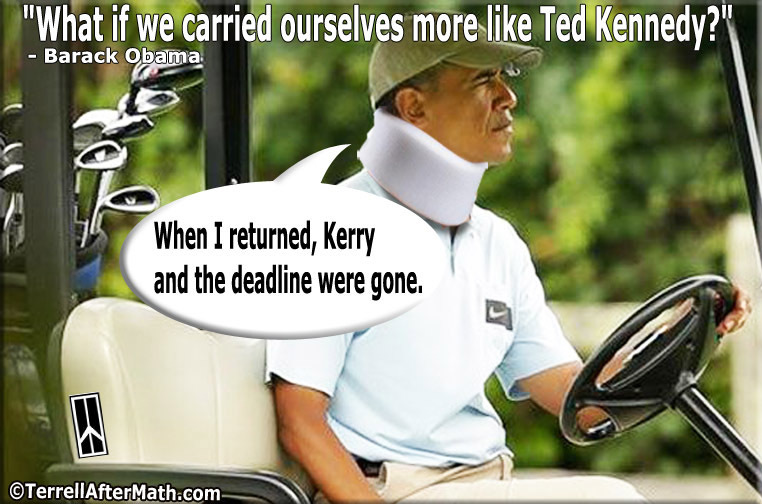 Carry ourselves like Teddy Kennedy? Teddy has been gone for a few years However, Obama has been gone since he was first elected Czar of the United States of America. So sad that Libya had an insane Dictator that that was a better leader than our wannabe.